My feline niece Morgan (aka Avatar Kitty) left us five years ago today. Still miss the old girl. She would have been 13 if she was still with us. She's in a much better place though, where it's nice and warm and she can explore, hop up on furniture and other places she's not supposed to be, all to her heart's content. I can feel that. I had her identical twin brother Tony at my house. 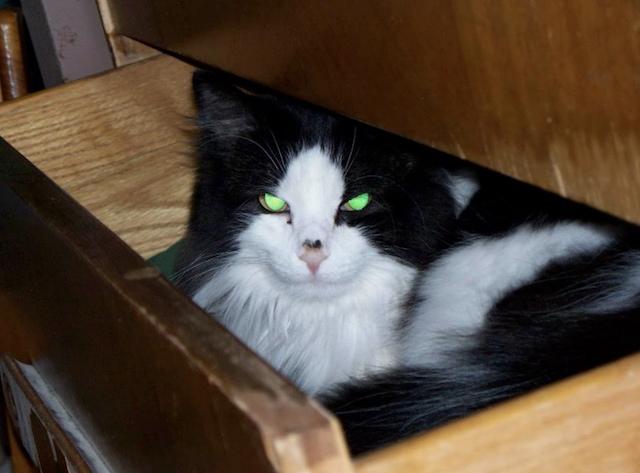 He liked to live in an open drawer too. We're still finding his hair. I don't try to stop a cat from hopping up. In fact I even help them do that in setting up cat trees and arranging the furniture so they can have about three levels of paths they can use to cross a room. And they have a perch way up high in every room I want them to be in where they can look out over everything and feel safe and secure. That means I can have a room or two in the house where they don't go. Once I started doing that I found that the cats who own me were much happier and calm. I learned that about providing perches and elevated paths around a room from watching a few episodes of My Cat From Hell. It was good advise. Anyway this is a TV show I like. We never have more or less than two cats. We were still finding Morgan's toys occasionally that she had hidden under furniture even as recently as last summer. 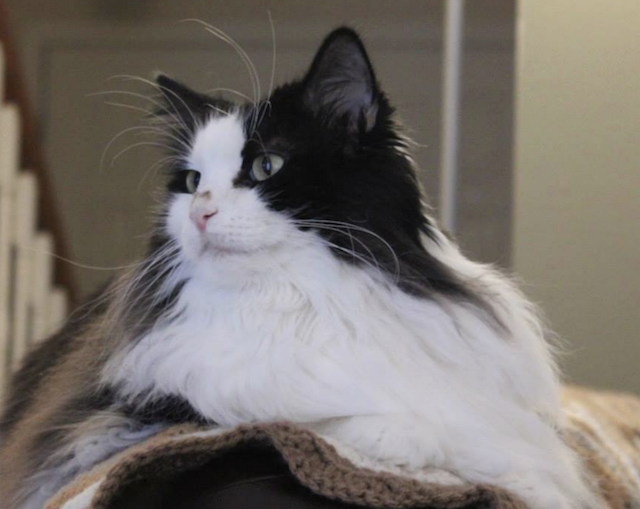 One time I was down visiting my sister and now brother in law and Morgan perked right up when My Cat From Hell came on, like she was saying yep, that's me. The last time I went to see my sister and brother in law they took me to the Mauhaus in St. Louis. That's a coffee shop where they have a lot of cats for people to interact with. They have all sorts of perches and elevated paths for cats to use.